Spring time also means seeding time. 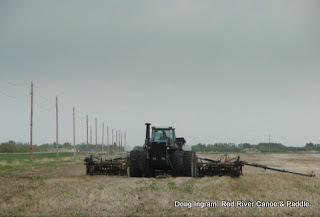 I managed to catch the seeding being done on the field across the road. No time to run out to my usual spot, but this will do. Posted by Doug Ingram at 9:54 p.m.